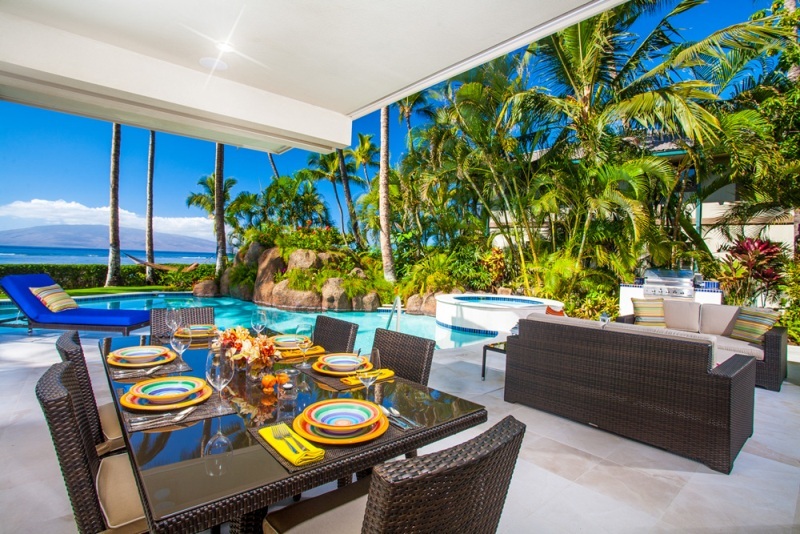 Opal Seas – Luxury Vacation Homes, Inc. 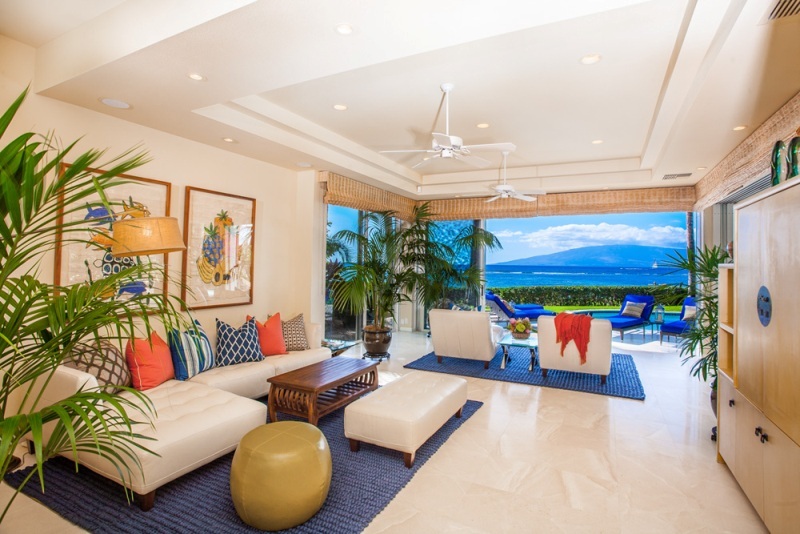 In all of Maui island, there are very few homes that are set directly on a sandy beach, and Opal Seas is one of the very few homes with that rare pedigree. 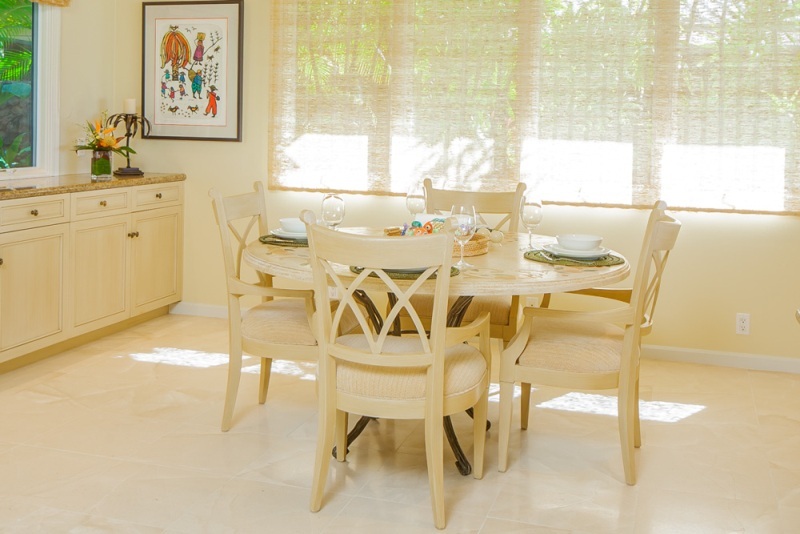 Step out of your comfortable ocean front home right on to a soft sandy beach which is encircled by an ancient reef. 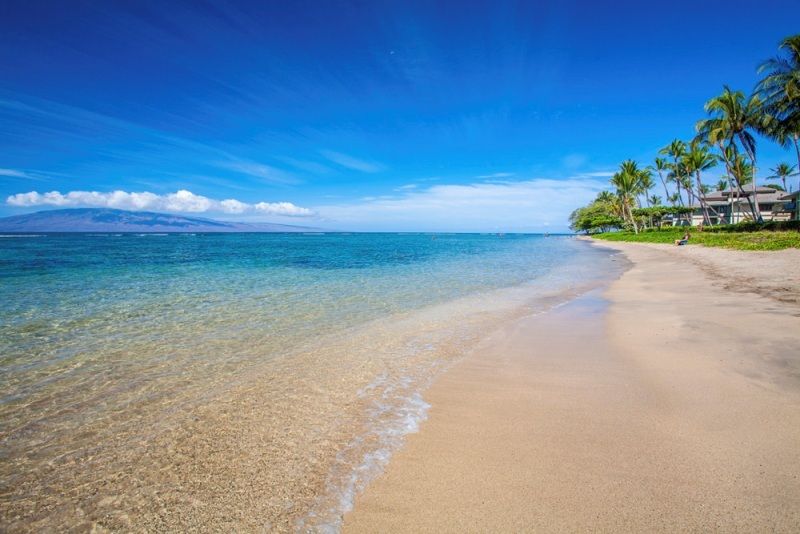 The waters of Baby “Pu`unoa” Beach are forever calm and clear, thus the nickname “Baby Beach” where babies, toddlers, children and adults can all swim and soak in shallow warm waters. 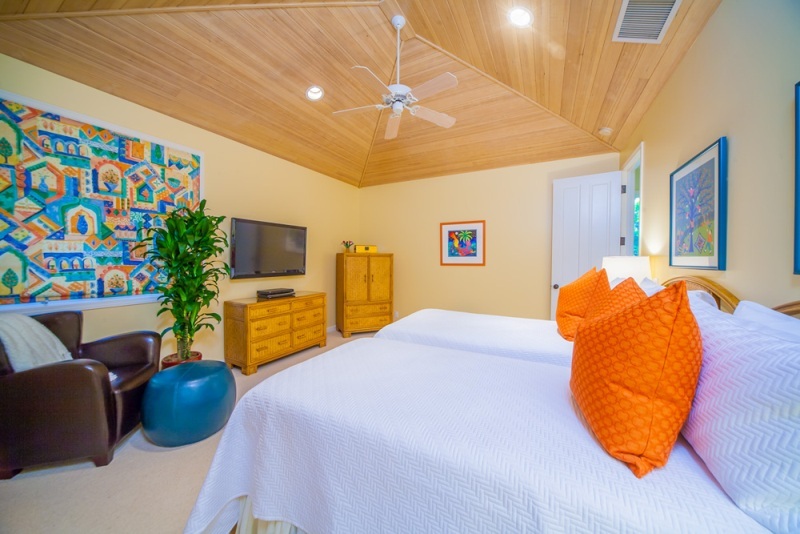 There is a full complement of outdoor patio furniture for both the beach-level poolside deck and the upper master suite deck. Upstairs we feature a European import double hammock on a cypress wood stand that accommodates 2 guests for afternoon naps. 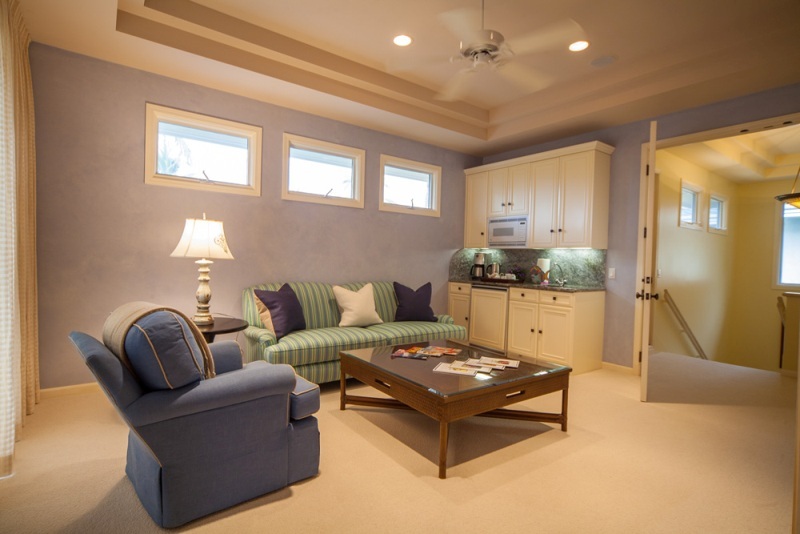 Between the upstairs and downstairs levels, there are 6 reclining chaise lounge chairs, a dining table for 6, a game table for 4 upstairs, and 3 separate outdoor sofas. 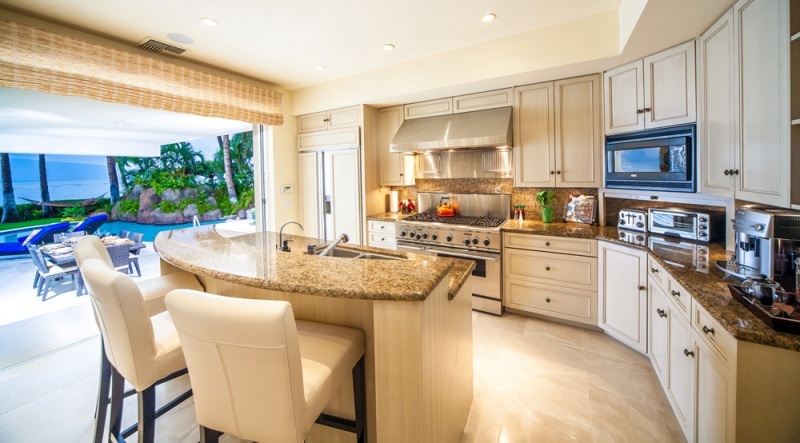 At Opal Seas there is an ocean front heated swimming pool and poolside hot tub, central air conditioning, home office with high speed wireless internet service, a fully equipped kitchen with espresso machine, wine fridge, and a gas range. 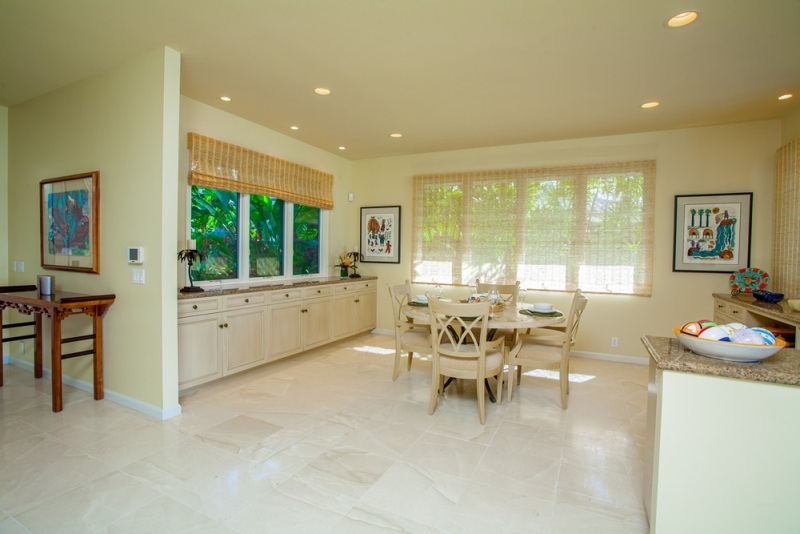 There is a second kitchenette in the upstairs master parlor, and a large built-in BBQ by the pool. 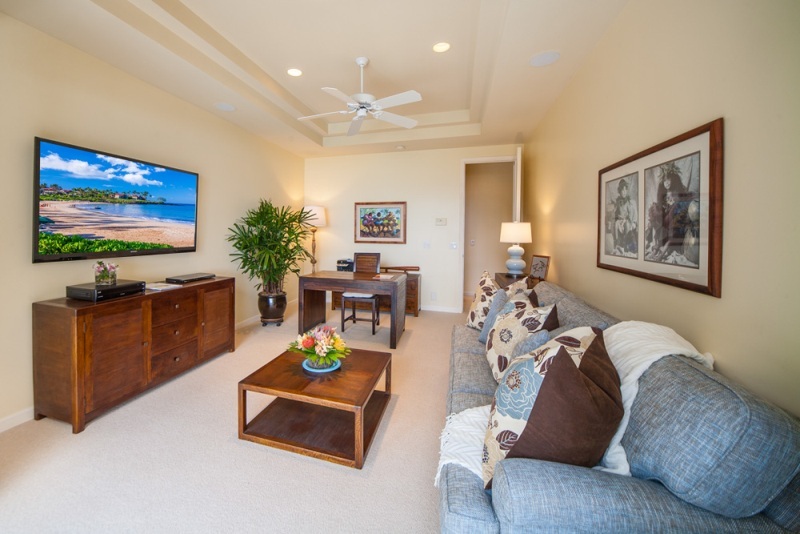 Each room in Opal Seas has a television, many of which are new flat panel televisions, with HD cable or SAT cable. Other state-of art electronics include DVD players, iPod docks, and more. Of course there is also a state-of-art wired and wireless high-speed internet service at Opal Seas. 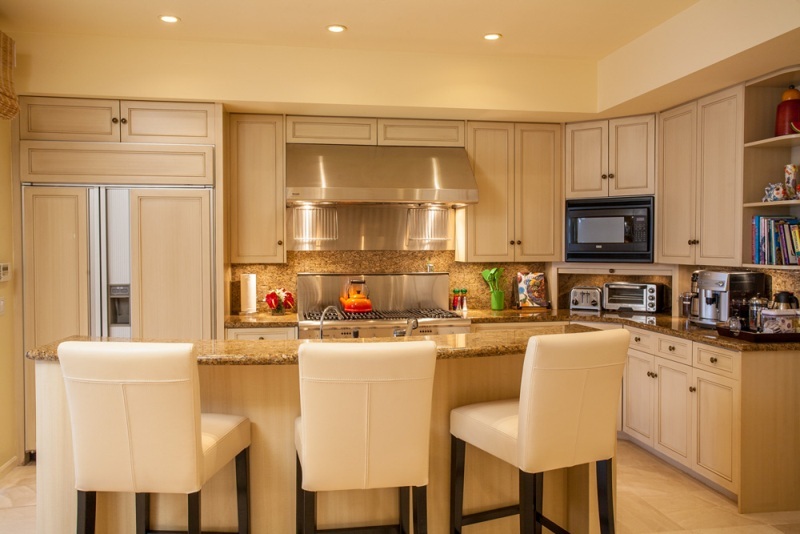 The kitchen is very well equipped, with a full array of supplies and equipment, including an espresso machine, coffee maker, coffee grinder, and many other luxury grade amenities. Grill up fresh island fish at the large built-in gas grill. 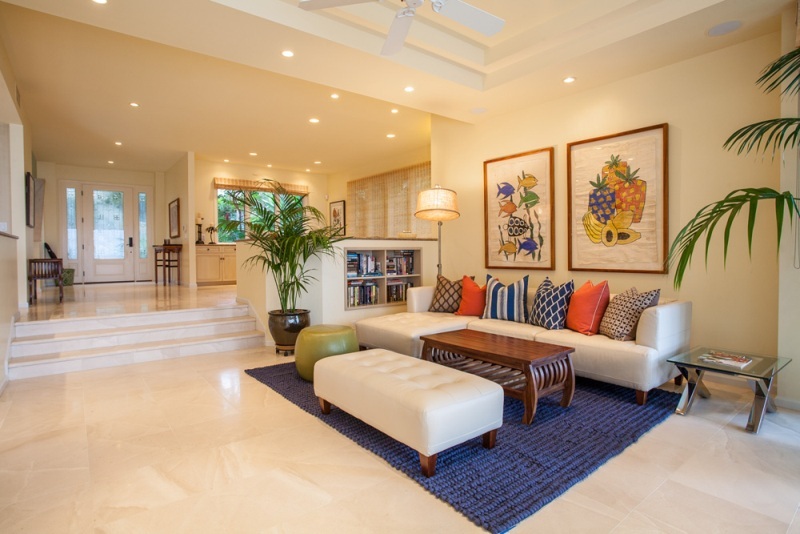 Opal Seas At Baby Beach was crafted with superb attention to detail, and trimmed and furnished with the extensive use of marble, polished limestone and plush carpets. 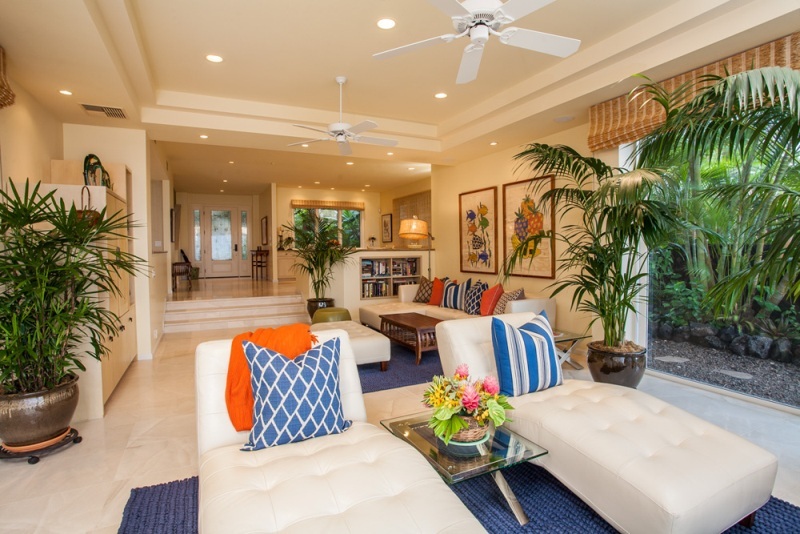 High ceilings and the abundant use of floor-to-ceiling glass walls accentuate the aura of spaciousness and enhance the beautiful ocean views. An exercise bike is available in the master bedroom parlor. 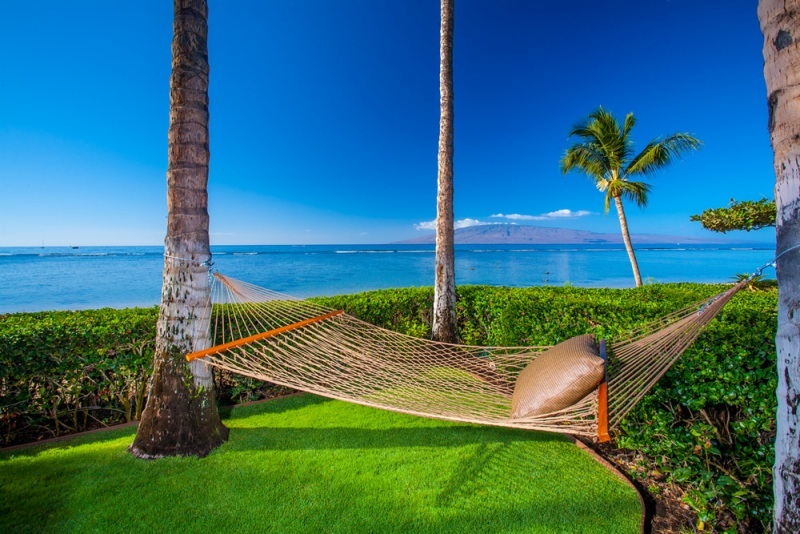 Need to do business while on Maui? 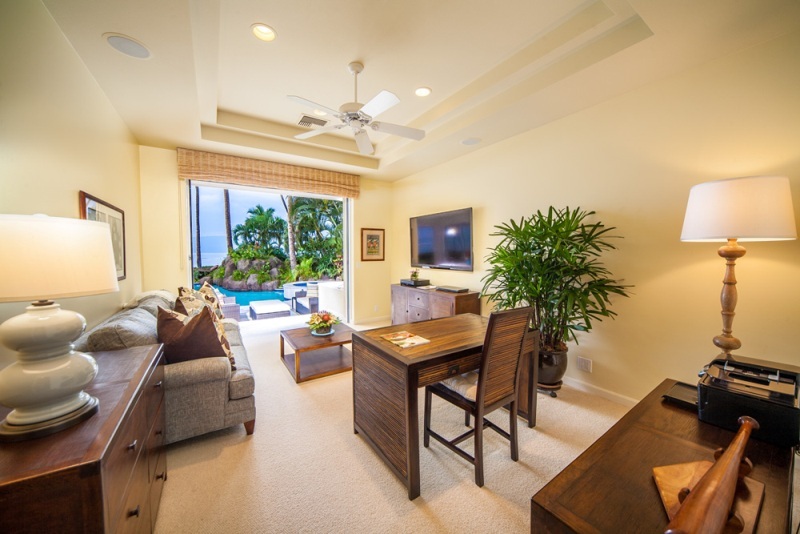 Work in the private office room with a printer/scanner/copier/fax and office supply, television, CD/DVD, iPod dock, sofa, and a desk that faces the swimming pool area. 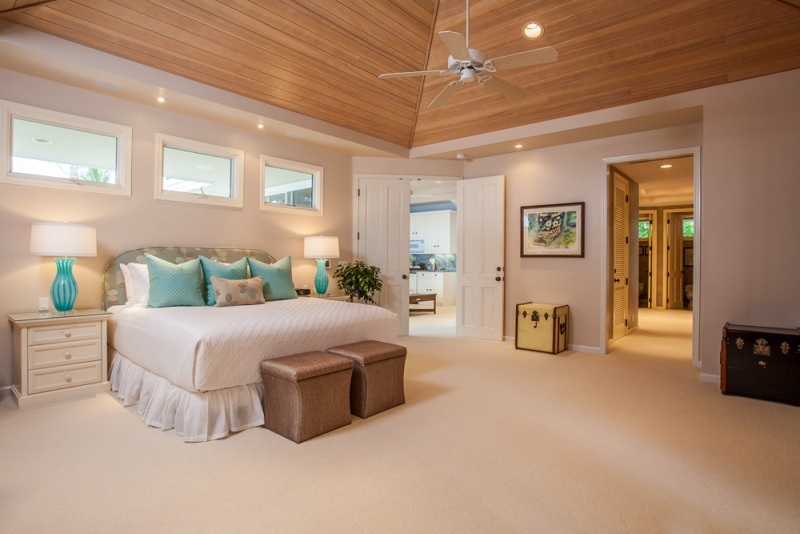 The master suite takes up the entire second level of Opal Seas. 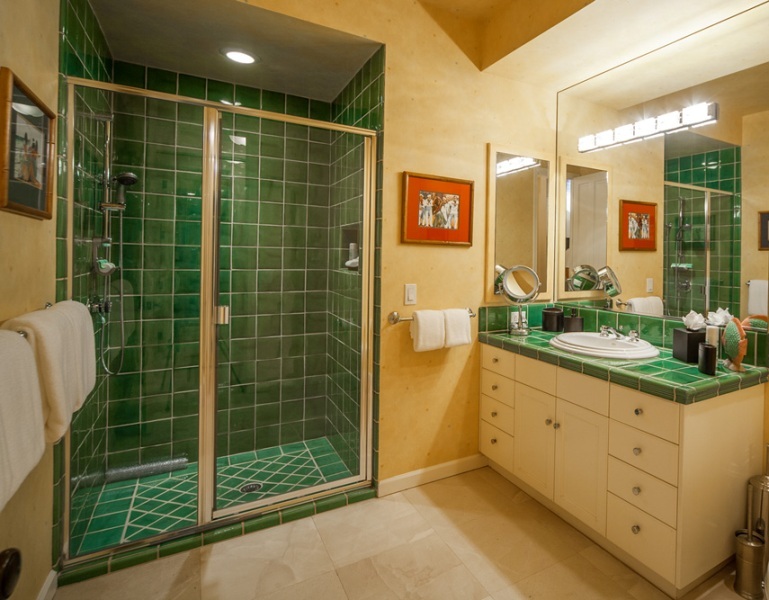 It has a large private bath with 2 WC, deep soaking tub, separate double marble shower, dual vanities, and walk-in closet. 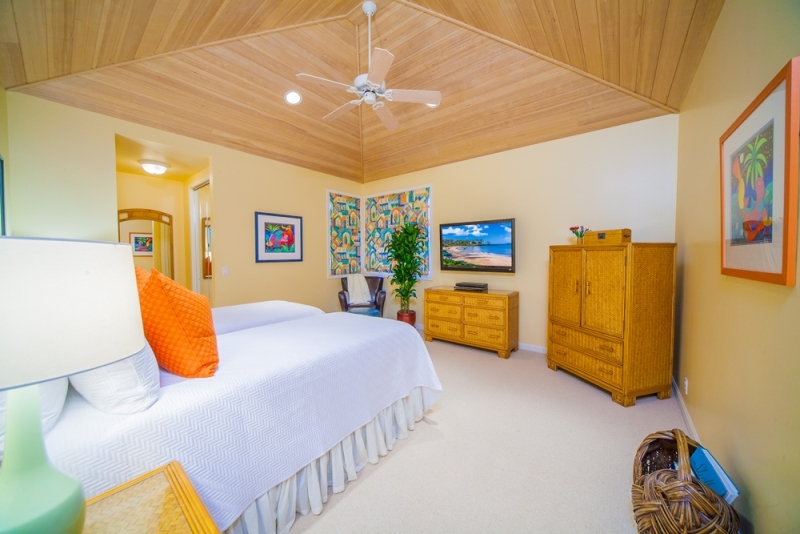 Enter the master suite through a separate private parlor room that is equipped with a rocking arm chair, a new sofa, TV, DVD, and a kitchenette. 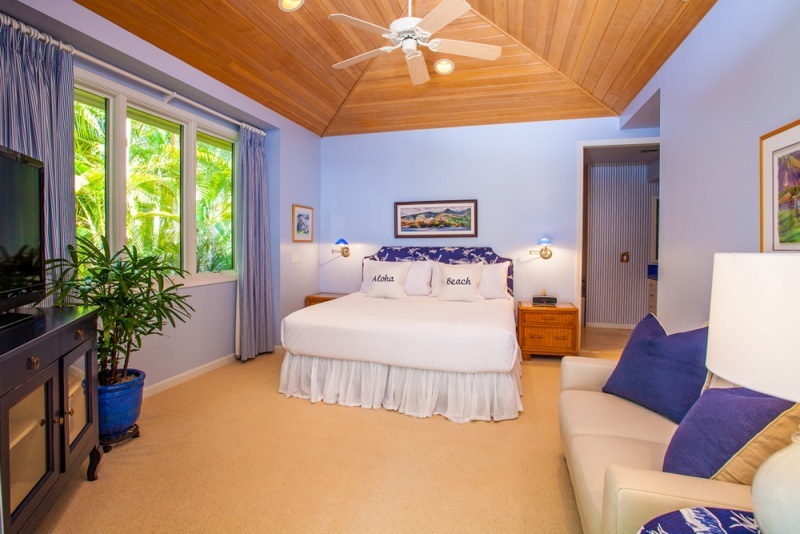 It is closed off from the sleeping suite, so if a guest wants to stay up later or wake up earlier than another, there is a private area in which to relax. 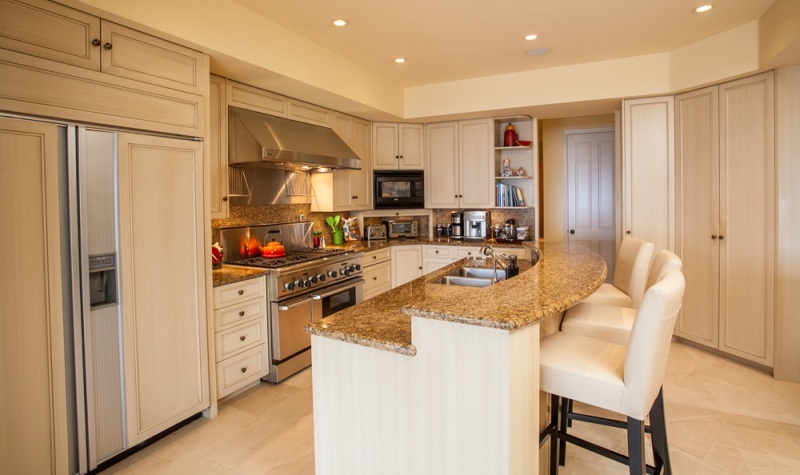 We equipped the kitchenette with everything you may need to make coffee, tea, or to warm up a snack or toast pastries. There is a fridge for beverages and a warmer/toaster oven too! 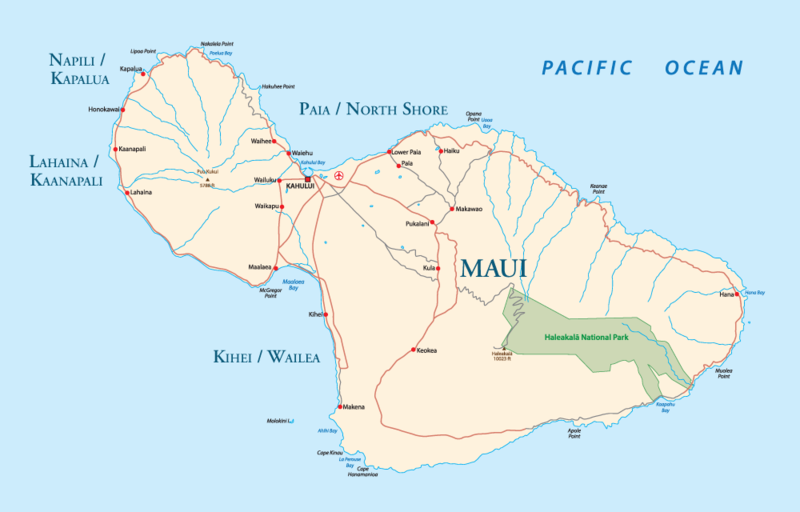 The lazy and quiet residential neighborhood near Opal Seas is reminiscent of Hawai’i of a bygone era. 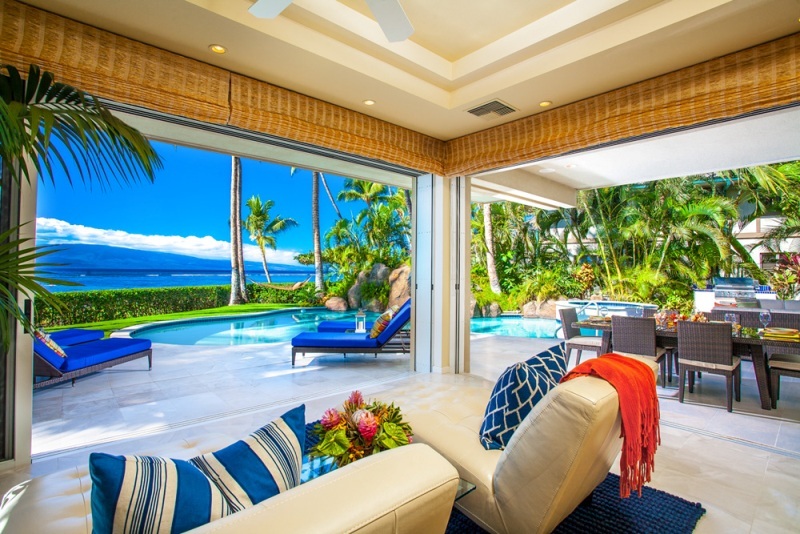 Relax on the covered veranda and whale watch all day long, or gaze at one of West Maui`s scarlet sunsets or silvery moonsets. 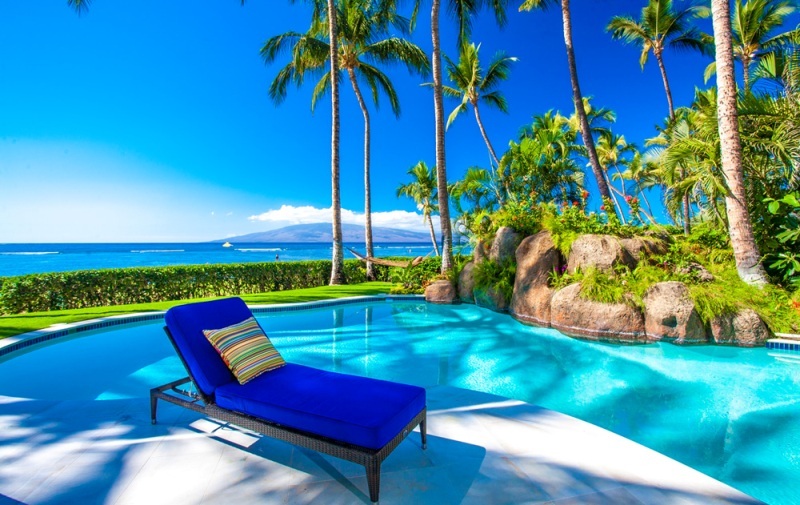 Grab the beach chairs, coolers, towels, and umbrellas provided for your day on the beach – right in front of your own home! Bedroom #1: King bed, wrap-around outdoor veranda and a separate parlor room with wet bar, fridge, kitchenette, and sofa. 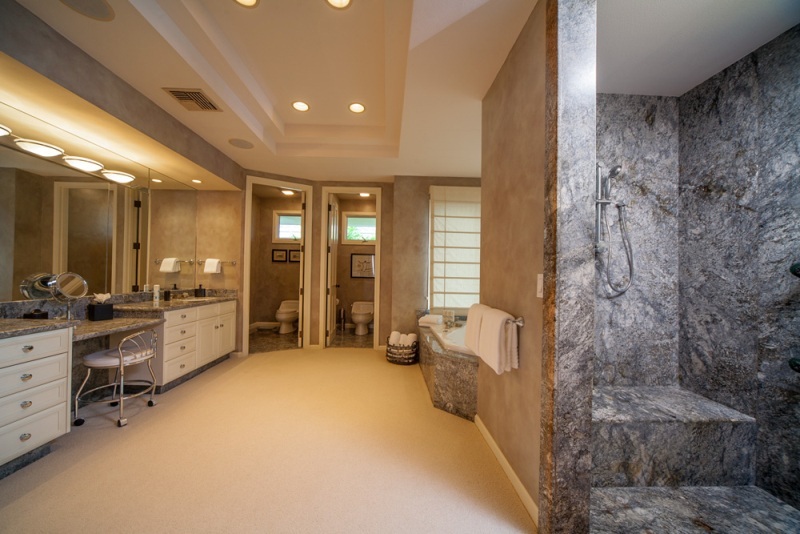 Large private bath with soaking spa tub and separate glass double shower. 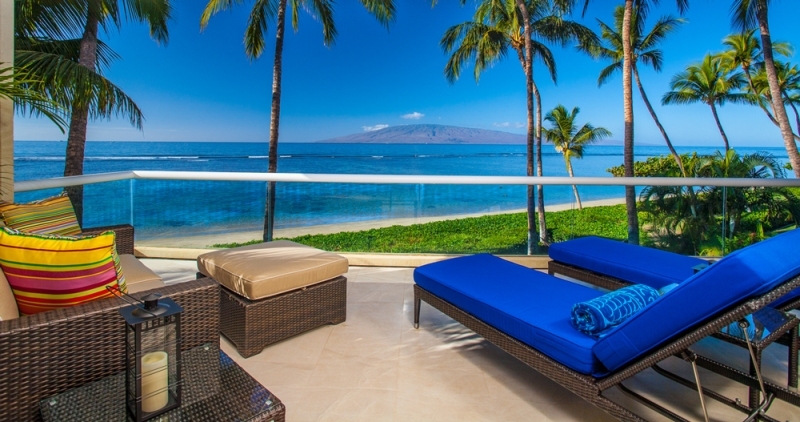 Beach front view. Bedroom #2: King bed. 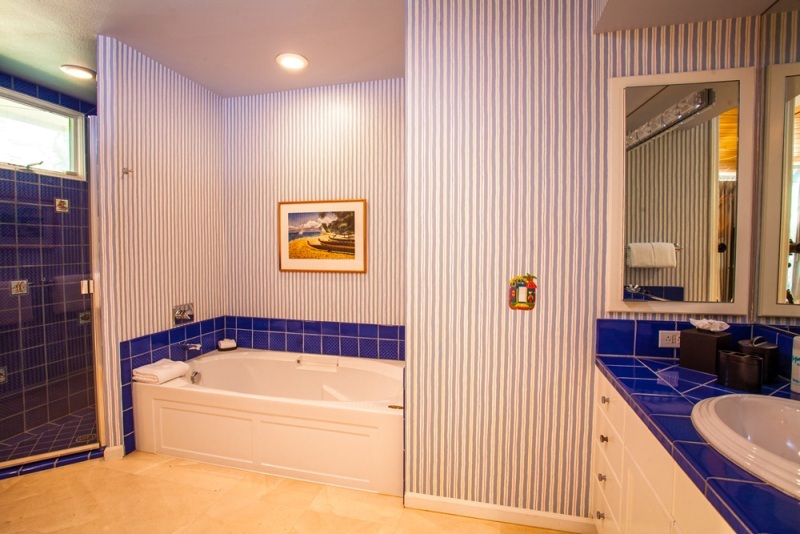 Private bath with tub and separate glass shower. 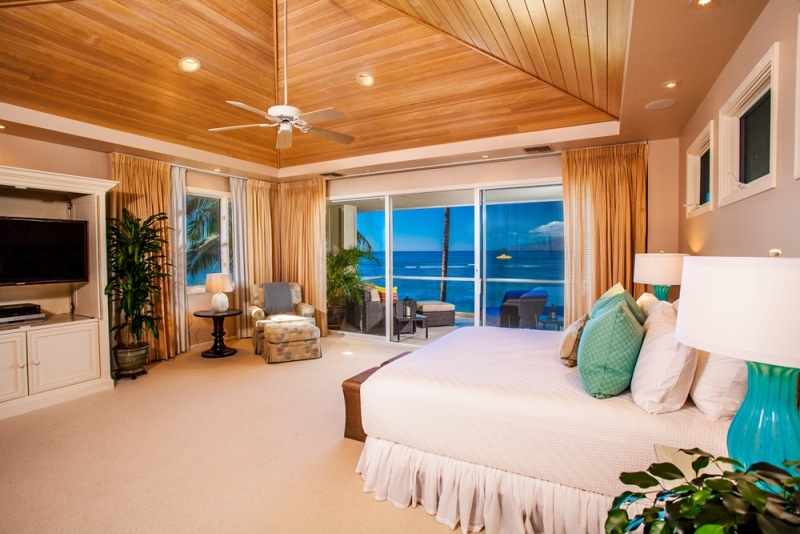 Direct access to the outdoor patio and the pool and beach from the bedroom. 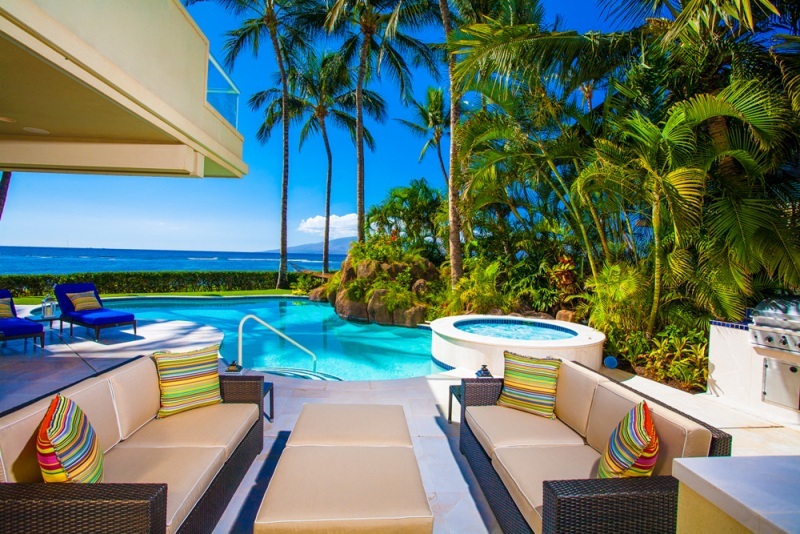 Ocean and Pool view. Bedroom #3: Two Twin beds that can be made as another King bed (available at no extra charge) with pillow top mattresses. Private bath with shower. Garden view. 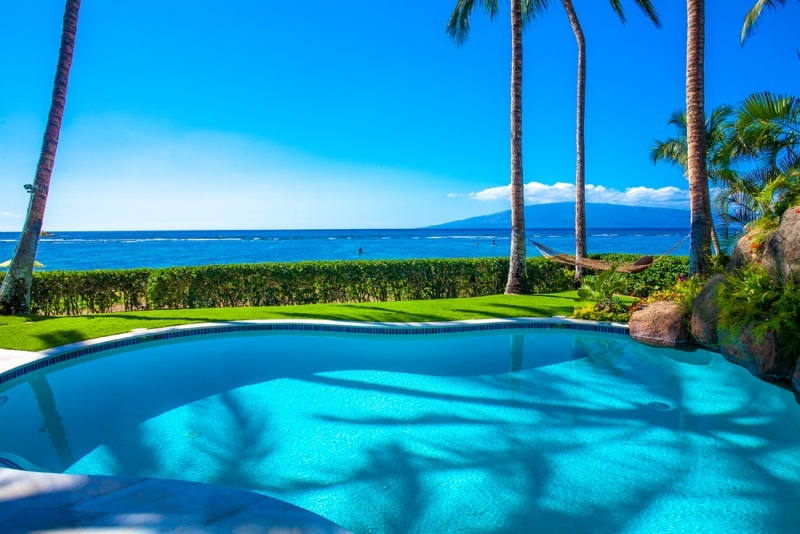 Pool Heating To 83 degrees is included during winter season. 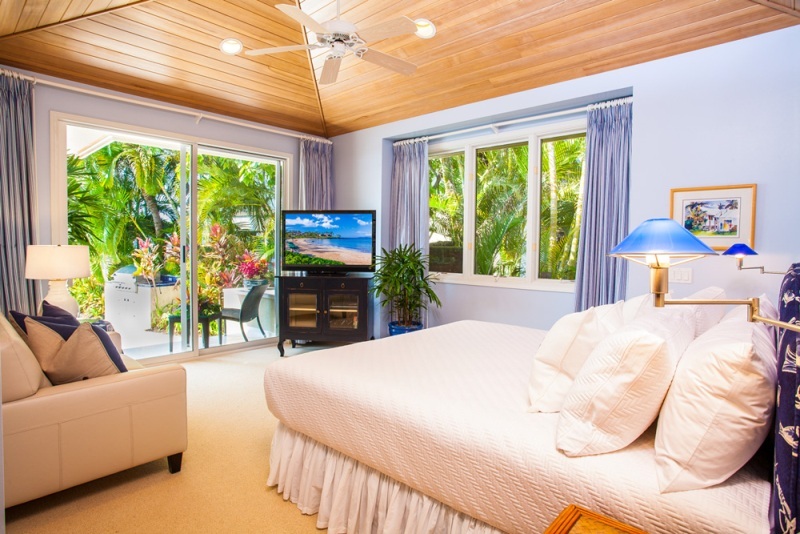 f) Occupancy is for 2 guests per bedroom excepting infants or toddlers under two years of age.